The Mayor of Kazan instructed to take into account creating ski bases in the construction of schools. (KZN.RU, February 11, Alena Miroshnichenko). 12.5 billion rubles, a record amount was allocated over the past two years for road works in Kazan, taking into account funding under the priority project “Safe and high-quality roads”. At the same time, the republic allocated five for every ruble from the federal budget. Ilsur Metshin, the Mayor of Kazan, voiced such data at the extended meeting of the board of the Ministry of Transport and Road Facilities of the RT today. Thanks to these means, the total length of the road network of Kazan has increased by 42 km for five years, and the area – by 1.5 million square meters. Igor Levitin, an assistant to the President of the RF, Evgeny Dietrich, the minister of Transport of the RF, Alexey Pesoshin, the prime minister of the RT, Lenar Safin, the minister of Transport and Road Management of the RT, and others took part in the meeting. It took place at the GTRK “Korston” today. “In the last two years, we have been able to perform more roadworks than in the previous five years. 355 roads with a total area of 6.2 million square meters were repaired. The principal innovation of the last years is repairing of the busiest central and main roads. We were finally able to fix the suburbs and yards. 80 settlement roads, 12 access roads to garden partnerships, and 770 yard territories were repaired”, said the Mayor of Kazan in his report. He noted that transport policy is crucial for the city due to high rates of motorization. So, today the number of registered cars in Kazan is more than 423 thousand. Over the past year, the number of new cars purchased increased by 13%, which brought the capital of the RT to the third place in the country after Moscow and St. Petersburg. In addition, Kazan developed a program for the integrated development of transport infrastructure. According to it, it is planned to increase the length of main streets and roads by 108.3 km, increase the tram lines by 29.8 km, build 27 new crossroads. L. Safin noted that in total about 330 km of roads are in a standard condition in Tatarstan for two years of the implementation of the project “Safe and high-quality roads”. “The formation of the program was carried out taking into account the applications of the system “People’s Control”, as well as the All-Russian Popular Front project “Map of the Dead Roads”, he added. 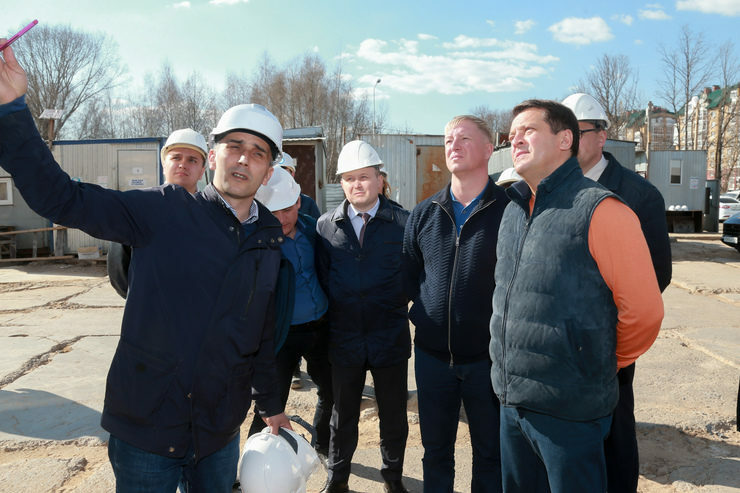 In addition, the Minister of Transport of the RT appealed to the federal authorities to consider the allocation of additional funding for the repair of artificial structures. The development of public transport plays a very important role in the conditions of growth in the level of motorization, marked I. Metshin. Thus, Kazan's public transport transported almost 260 million people in 2018. “The city has a single, interconnected route network of all four types of transport. All rolling stock operates in a single schedule at regulated tariffs. Residents who are eligible for benefits can use any route, all types of transport in the urban and suburban railway traffic”, said the Mayor. 350 low-floor, comfortable buses with an engine environmental standard Euro-5, of which 104 buses run on gas engine fuel, were purchased in preparation for the World Cup in Kazan. It was done as part of the federal program “Expanding the use of natural gas as a gas engine fuel”, as well as the republican program “Development of the gas engine fuel market in the RT” with the support of Rustam Minnikhanov, the President of the RT. The rolling stock of the city electric transport of Kazan was significantly updated. From 2016 to 2018, 52 trams and 85 trolleybuses were purchased. In his report, the Mayor of Kazan also reminded that last year, the construction of the first metro line was completed in the city. Now its length is 18.2 km. The metro station “Dubravnaya” is planned as a transfer station to the second branch of the Kazan metro. According to experts of the Moscow Scientific Research Institute of Road Transport, Kazan has the highest rates of flight performance and their regularity among other large cities of Russia. In addition, an automated payment system operates on urban passenger transport in the capital of the RT including by cards, which brings Kazan closer to European and world capitals. “Measures were taken in order to improve the organization of traffic and the development of urban passenger transport in the city. An adaptive traffic management system was introduced, stopping and parking of vehicles on most streets of the central part of the city were prohibited, left turns and movement of heavy machinery items during daytime were canceled, selected lanes for public transport were introduced, as well as the construction of multi-level and underground parking, municipal parking and other measures were made”, said the Mayor of the Tatarstan’s capital. Currently, a project is proposed for the development of high-speed types of transport to improve the quality of transport services: the construction of three metrobus lines with a length of 50.2 km. The estimated cost of construction is 6.1 billion rubles. As a result of the above measures, the carrying capacity of the main streets of Kazan has increased by 7%, the average speed increased at 5 km/h, the travel time on these streets has decreased by at least 7-9 minutes, marked I. Metshin. “We were able to achieve these results only thanks to the coordinated work of all branches of government, the support of the federal center and the leadership of Tatarstan. As is known, the comfort of the urban environment is largely determined not only by the quality of life, but also by the mood, creative activity, and the state of people's health”, he noted. However, in the capital of the Republic of Tajikistan, the question of parking cars under prohibitory signs and on paid municipal parking lots located on public roads with state registration numbers removed became quite acute. “At present, federal legislation does not provide a ban on parking with removed or unreadable license plates and, as a result, an administrative penalty. The lack of sanctions provokes drivers to commit a violation and makes it possible to evade responsibility. As a result, the situation creates inconvenience for law-abiding drivers, reduces the comfort of movement on the roads, and increases the time for finding a parking spot causing complaints. The above problem, due to impunity, is widespread and relevant for all constituent entities of the Russian Federation”, said the Mayor of the city. He appealed to federal officials with the initiative to amend the Administrative Code of the RF to prohibit not only the movement of vehicles with removed numbers, but their use in general. Lenar Safin, the minister of Transport and Road Management of the RT, announced the results of the work of the republican Ministry as a whole in 2018 and its plans for 2019. He spoke about the development of air, rail, public, and other transport. In the field of air transport, L. Safin noted that the Kazan International Airport overcame the bar of 3 million passengers for the first time in recent history. All Tatarstan airports have improved their financial performance. This is due to the introduction of the system “Lean Production”. “Changes are associated with increased productivity, cost optimization, innovation, and staff development. The economic effect of the system starting in 2015 amounted to more than 120 million rubles”, said the minister. One of the most promising and socially significant projects in the field of railway transport is the organization of a ring railway traffic in the capital of the region. It will allow organizing communication between railway stations and the airport in both directions. The work is also continuing on a project for the construction of a high-speed railway line Moscow-Kazan. In addition, plans for 2019 include the construction of the Kompressorny transport interchange node, where passengers of all types of transport will be served. In the field of river transport, the republic has also achieved success in the past year. “Tatarstan is one of the few regions where it was possible to preserve the main socially significant river passenger traffic. Thus, almost 330 thousand people used water transport in suburban traffic last year”, said L. Safin. In the field of passenger transport, the Minister noted separately the work during the WorldSkills Championship. “It is planned to involve 220 passenger buses, 59 minibuses, and 128 passenger cars of various types. In addition, bus transfer will be organized during the championship, as well as the work of commuter electric trains and shuttles. Volunteers and accredited persons will be given free travel on public transport”, he said. The board also set tasks for the coming year in the field of transport. L. Safin urged to solve them by joint efforts with all representatives of the industry and cities of the republic.